The Press and Journal prints four editions across the north and north-east of Scotland. 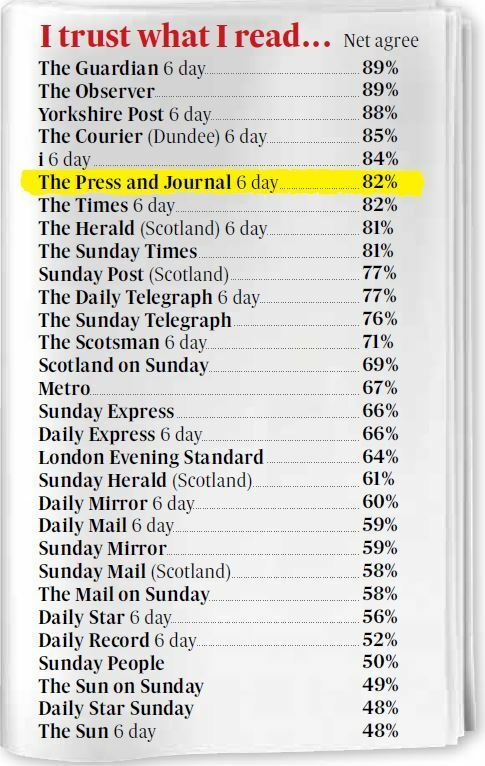 The Press and Journal is one of the most trusted newspapers in the country, new research has found. 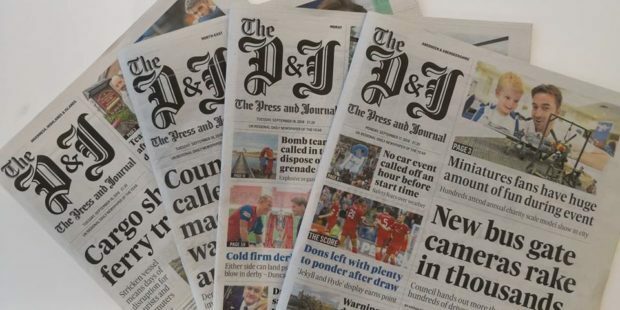 The figures reveal that 82% of readers trust the P&J’s daily content, making it the sixth most trusted title in the UK. And fellow DC Thomson title, The Courier in Dundee, was placed fourth with a score of 85%. Both titles finished higher than national papers The Times, The Sunday Times, The Sun, the Daily and Sunday Telegraph, the Daily Mail, the Daily Mirror and the Daily Express. And they also finished above the Scotsman, Scotland on Sunday and the Herald. The data was released by the Published Audience Measurement Company (Pamco), which replaced the National Readership Survey this year. It is the first time the results of surveys into the level of trust readers have in national and regional papers across the UK have been released. They are based on 35,000 face-to-face interviews conducted each year by Ipsos Mori, the market research company. Pamco has said the figures show that traditional and established brands still command trust among readers even with the amount of content now available to them. Simon Redican, chief executive of Pamco, said: “Our new engagement metrics show the high levels of trust readers place in established media brands and despite the proliferation of content available to consumers, that they still place great value in curated content from trusted brands.